What does it really take to live eco-effectively? 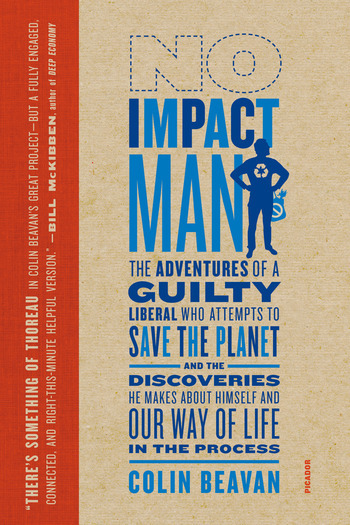 For one year, Colin Beavan swore off plastic and toxins, turned off his electricity, went organic, became a bicycle nut, and tried to save the planet from environmental catastrophe while dragging his young daughter and his Prada-wearing wife along for the ride. Together they attempted to make zero impact on the environment while living right in the heart of Manhattan, and this is the sensational, funny, and consciousness-raising story of how they did it. 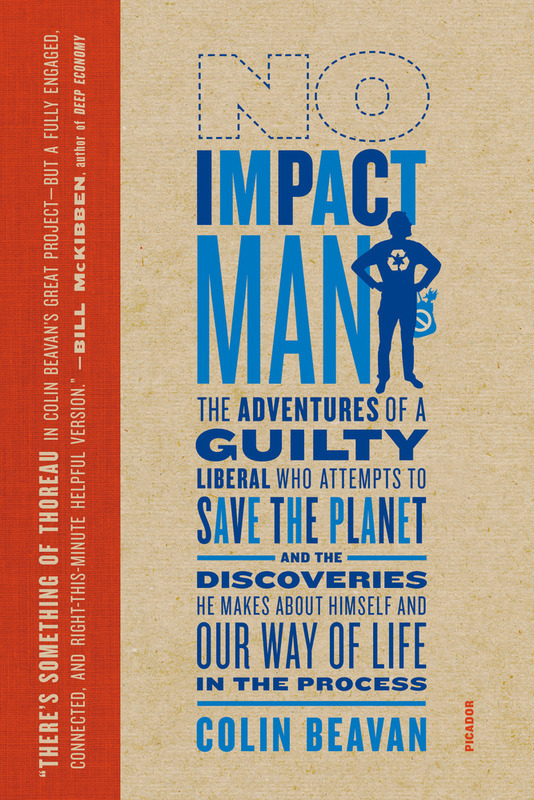 With No Impact Man, Beavan found that no-impact living is worthwhile--and richer, fuller, and more satisfying in the bargain. For a week, Olivia Aguilar's Environmental Studies 101 class entered a world with no plastic water bottles, no paper towels, no food waste, and no carbon footprint. For one week, the class attempted to have as little impact on the environment as possible. The week-long experience draws inspiration from the book "No Impact Man"in which author Colin Beavan spends an entire year learning to carry on everyday life with little or no environmental impact. “The No Impact Experiment changed Colin Beavan and reading No Impact Man will change you.” —Annie Leonard, creator of "The Story of Stuff"
Colin Beavan is the author of No Impact Man as well as two previous books that have absolutely nothing to do with the environment: Fingerprints: The Murder Case That Launched Forensic Science and Operation Jedburgh: D-Day and America’s First Shadow War. His writing has appeared in Esquire, The Atlantic, and the New York Times, and he posts regularly at No Impact Man. He lives in New York City.